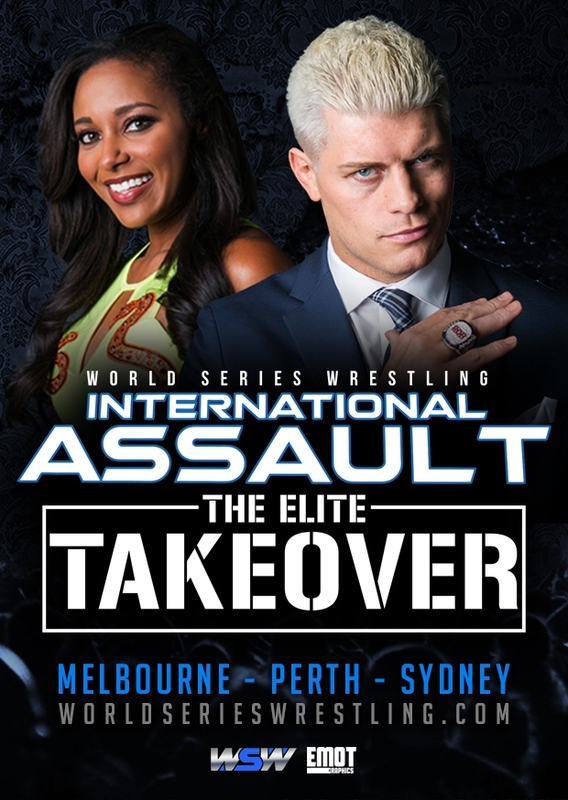 After a three hugely successful International Assault Tours, World Series Wrestling returns to Australia this November with International Assault - THE ELITE TAKEOVER! Featuring stars of the Hit You Tube Series, Being The Elite and current ROH and NJPW stars, CODY and BRANDI RHODES, The Villain MARTY SCURLL and FLIP GORDON. Joining the cast members from Being the Elite include current Impact Wrestling and WSW World Champion AUSTIN ARIES, and Impact Wrestling X Division Champion BRIAN CAGE. Australia .... Don't Miss this once in a lifetime opportunity to see The ELITE TAKEOVER ... LIVE!